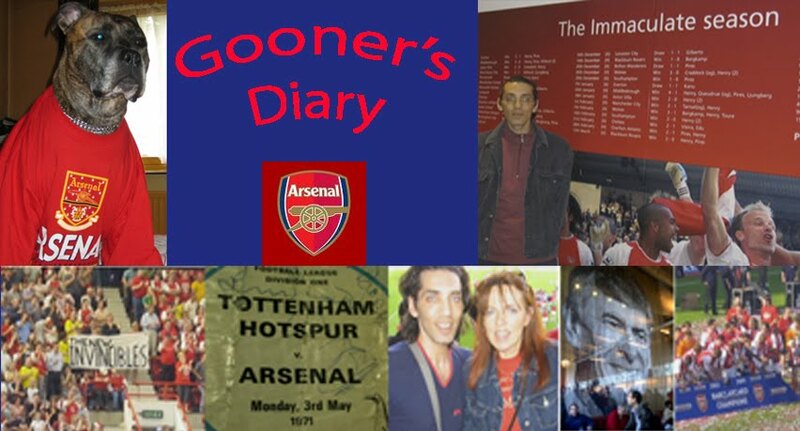 Gooner's Diary: "Ain't Nobody Like Koscielny...."
My midday deadline for my Irish Examiner missive often leaves me with my feet up, watching the footie on the box on Sunday afternoon, fretting about all the points that I've forgotten to mention (or not had sufficient space to include). We were welcomed back into London yesterday evening with a twenty-one gun salute. Or at least that is what if felt like, with the fireworks just starting to explode on the lawns of the famous art-deco Hoover building, as we passed by on the A40. It felt like a fitting reception as we returned to "the Smoke" with three important points safely stashed in our metaphoric back pockets. The sagacity of the expression that "time is relative" is rarely more apparent than when contrasting the length of a tediously long return journey from the miserable midweek defeat to Sheffield Wednesday, with how quickly we seemed to fly back home from Wales after Saturday's win. Although we enjoyed some pleasant banter with the Wednesday fans, whilst grabbing some pre-match grub, just about the only result of the night was that we managed to escape the congestion around the ground after the final whistle relatively quickly, to get back onto the M1 for the long trek back down "Sarf": while being infuriatingly delayed by incessant night-time roadworks and the resulting 50mph speed restrictions, governed by a never-ending string of average speed-check cameras. It really would've been adding insult to injury, if our league cup exit had not only cost us the loss of the Ox and Theo, but also a few penalty points on my (miraculously clean!) driving license! I hope we made ourselves heard on the TV coverage, above the raucous racket of the home crowd, as the only other crumb of comfort on the night was that despite us being 3-0 down, with absolutely no chance of turning this game around, the healthy turn out of Gooners spent what felt like about half an hour of the second-half, singing an incessant, mantra-like chorus of "We love you Arsenal". I fancy that the 35,000 home fans must've been impressed by this unceasing vocal display of our loyalty. Even Olivier Giroud turned at one point, to applaud our relentless rendition, as if by way of offering some sort of apology for the team's abject failure to reward such staunch support, with the sort of performance that we rightly deserved in return. The two successive injuries were devastating and the manner of this defeat, with barely a single shot on goal, was extremely disappointing. I look forward to these league cup outings, as a sporadic opportunity to sample the delights of the latest teenage talents to emerge off the U21 production line. Yet our demise wasn't all down to the youngsters' failure to demonstrate their potential. Compared to a Wednesday side that was so fired up, none of our more experienced players were at the races. I would've expected the likes of Debuchy and Gibbs to be desperate to make the most of their rare opportunity to prove themselves worthy of a first-team recall. But sadly they both looked to be lamentably ring-rusty, especially Debuchy, as Wednesday increasingly probed this obvious weakness on our right flank. Much like the rest of the senior players, they displayed the apparent apathy of players who looked as if they resented not being given the night off with the remainder of our star turns. Despite having to suffer my Spurs mates teasing me by text about me making such a wasted journey, I've long since learned to be quite sanguine about fruitless Arsenal outings, viewing them as a means of merely paying my dues and thereby being so much more appreciative of Saturday's successful trip to Swansea. But I'm fortunate to be able to go to most matches and I've sympathy for those Gooners who are forced to endure a defeat, on more infrequent Arsenal awaydays. Tickets for last Tuesday's league cup match were priced at a comparatively cheap 25 quid. Consequently, there were plenty of Arsenal fans buying them primarily for the away match credit. With so many Gooners unable to obtain tickets for our successive Wembley outings these past couple of seasons, folks are fast learning quite how beneficial it is to have a couple more credits than the vast majority. Nevertheless, there weren't many empty seats to be seen in the infamous Leppings Lane End at Hillsborough and judging by how quickly we managed to flog a couple of spare tickets on Twitter, whilst grabbing a bite to eat an hour before the game and the fact that there were so many unrecognisable faces amongst the Arsenal fans, I suspect that we were joined by a large contingent of Gooner students, who'd jumped at the chance to watch the Arsenal, instead of doing their university homework. So while I only had three days to wait, before witnessing a far more gratifying win, I felt bad for all of them (not to mention all those Wednesday fans who had "only come to see the Arsenal! "), when the Gunners failed so miserably to put on decent show. 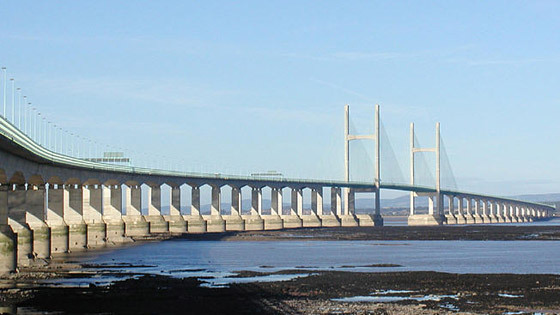 I always object to the relatively steep cost of the toll to cross the Severn Bridge into Wales. The irony never escapes me of having to stump up £6.50 to enter "the land of the Bards" but then one doesn't have to pay a bean to escape the country, returning in the opposite direction back into England. Still this annual trek down the M4 has fast joined the list of my firm awayday favourites. Although according to superstition, bad awayday results will usually necessitate that one doesn't repeat the same rituals, last season's defeat didn't prevent our return to Rossi's opposite the Liberty Stadium for cod and chips. Evidently it's not just us Gooners enjoying the Schadenfreude of Mourinho's steep downhill slide, seemingly drawing him ever nearer to the receipt of his special P45. Standing outside in glorious autumnal sunshine, chowing down on our grub, we could see the smiles upon all the faces of the Jack Army as they parked up for the match, knowing they'd also been listening to the radio commentary of events at Stamford Bridge, where the Scousers had equalised two and a half minutes into two minutes of injury time! Having only just seen Chris Kamara and co. analysing Giroud's headed opener on Sky's 'Goals on Sunday', I can't help but revel in the apparent obvious improvement in the Gunners' set pieces. At long last, we finally seem to be applying some "nous" to our corner taking. What they didn't show on the box was our first corner, only a few minutes before the goal. On this occasion Ashley Williams was marking so touch-tight as he grappled with Giroud that he might as well have been inside Ollie's shirt. So when we where awarded a second corner, our narcissistic front-man climbed into Per Mertesacker's shorts. Or at least put himself in such close contact behind the BFG that Williams couldn't get anywhere near enough to grab a hold of Giroud again and it was for this precise reason that Williams ended up losing him, for Ollie to soar unchallenged and head home that crucial opening goal. Also in the first-half, our high defensive line appeared to be suicidal, as it was obvious from our viewpoint behind our goal that the pace of the Swans attack was the source of serious palpitations, with our hosts leaving our defence for dead almost on the halfway line and bearing down on Cech's goal, on far more occasions than was healthy! It seems as if Callum Chambers has STILL to recover from the battering his confidence suffered at the Liberty last season. I can rarely recall seeing Montero produce equally influential performances, when I've watched Swansea play against other sides, but the Equadorian seems to revel in leaving Arsenal defenders for dead. Having left Callum as a gibbering wreck after our last game, watching through my binoculars before kick-off on Saturday, I noticed Hector Bellerin having a word in Joel Campbell's shell-like. I presume that he was imploring Joel to help out in ensuring that Montero wasn't able to make Hector appear equally inept. Mercifully Bellerin is a lot quicker than Chambers and is rumoured to be faster even than Theo. Yet Montero still managed to leave Hector trailing in his wake and us trembling in the stands on a few occasions. Still both he and Campbell coped far more competently with this threat on our right-flank. Albeit that on the one occasion when Montero went past them both and ended up as the meat in a Gooner sandwich, when Sigurdsson stood over the resulting free-kick, I'm sure I wasn't alone in having nightmare visions of a repeat of the Ice Man's set-piece goal last season. Yet I adore the fact that the Gunners appear to be applying a more cerebral approach to winning matches, where in the past we might have arrogantly expected our superiority to tell, without bothering to put any thought into tactics. You only had to witness le Coq's effusive explosion of joy as he joined in the celebrations of our first goal, to appreciate quite how badly the Gunners wanted to win this game and where in the recent past our players might've failed to convince me that they wanted a title bad enough, I am now beginning to notice this cumulation of very pleasing indications that perhaps, just perhaps we might have finally achieved the delicate chemistry necessary to enable us to maintain a serious challenge. Obviously everything is so much easier when we're winning, but for all my efforts to avoid being duped by another false dawn, knowing that we're only ever one dodgy result, or a single disastrous injury away from it all going pear-shaped, I'm intent on making the most of the current buoyant mood. Besides which, with Mezut Özil on such a roll, pulling the strings as the all-time record assist merchant in Premiership history (according to the Daily Mirror! ), as we commented in the car on the way back, our German playmaker is such a joy to watch at the minute that one would have to be a complete and utter Philistine, not to be able to appreciate Mezut's weekly gifts to us all. A cliché perhaps, but there was a moment on Saturday that was indeed worth the price of admission alone, when Özil bamboozled everyone present with a ball in the complete opposite direction to the one we all expected. Here's hoping he leaves everyone at Bayern equally in his thrall on his return to the Allianz Arena on Wednesday? Meanwhile, you will have to forgive me if I end up going a little overboard about our new terrace ditty but it's been so long since we last had something new and original to sing (or with such good reason), let alone to a Chaka Khan tune that I actually love. What's more, it couldn't possibly be better timed, with Laurent suddenly being touted as one of the league's best centre-halfs. Koscielny was probably the prime candidate for man of the match on Saturday and hopefully his constant amelioration might prove to be symptomatic of the increasing maturity of the entire Arsenal squad. It was fair dinkum of Gary Monk to suggest in his post-match remarks that Saturday’s result was flattering. Nevertheless the records will show another three-goal victory and another satisfying clean-sheet, on the road, against a Swansea side that took all six points off us last season and who are a sufficiently talented outfit to make life far more awkward at the Liberty Stadium for many of our competitors, should they encounter the Swans in better goal-scoring form. In spite of a below par performance that was so far from the Gunners at our scintillating best, after the League Cup debacle at Hillsborough last Tuesday night, it was important to get back on the horse in a manner that will be perceived as being quite so emphatic. With a trip to Munich on Wednesday and a North London derby to come next weekend, we badly needed the sort of triumph which might demonstrate to our opposition that this Arsenal side hasn’t been significantly disadvantaged by the raft of recent injuries and which should continue to cement the “bring it on” ring of confidence within the camp (other tooth pastes are available). Sheffield Wednesday have suffered in the relative footballing wilderness for so long that their sell-out crowd was positively bristling with anticipation in advance of experiencing having the big time back at Hillsborough in midweek. As it turned out, I wasn’t too disappointed about a defeat that means we miss out on another trip to Stoke and knowing it would mean so much more to the long-suffering Wednesday fans, I really didn’t mind magnanimously throwing them the bone of this cup quarterfinal outing. However, after a long schlep to Sheffield, I wasn’t feeling nearly so charitable about exiting the Mickey Mouse competition in quite such an ignominious fashion. And I was left fuming about seeing first the Ox and then Theo succumb to particularly badly timed injuries that might derail our campaign, just as it’s beginning to gather some genuine momentum. With all of our most talented youngsters out on loan, or unavailable, last week’s comments about the precariousness of our challenge came back to haunt me, as Wednesday inflicted the sort of walkover on Tuesday that only reiterated the likelihood that the Gunners are painfully short of the required number of suitably experienced bodies, necessary to maintain an assault on the three remaining fronts; especially if our first-team players continue to drop like flies. From experience, we’ve gleaned a rule of thumb that one can conservatively double Arsène’s estimates about our players’ recuperation. Eternal pessimist that I am, I won’t be at all surprised if Walcott returns in December, just in time to suffer another knock that will rule him out for the hectic festive schedule! So when Giroud hit the deck against Swansea on Saturday, you could sense every Gooner behind the goal at the Liberty collectively holding our breath as drama-queen Ollie writhed around, clutching his knee, with us only exhaling in unison, when much to our relief our solitary remaining fit centre-forward returned to the fray. Having readily admitted that the likes Kamara, Bennacer, Bielik and Iwobi are patently not yet up to the first-team job, there will be plenty of time to slaughter our manager for failing to dip into our overflowing coffers, in order to bolster the squad during the summer, if and when he’s forced to throw these teenage Christians to the Premiership (or heaven forfend, Champions League!) lions. Meanwhile, can 23 year-old Joel Campbell finally blow the doors off, if he’s drinking in the last chance saloon. Having struggled to reproduce his World Cup feats in red and white, hopefully Saturday’s goal might serve as a confidence booster, but so long as he continues to put in such a hungry shift, you won’t hear me moaning. Alexis was strangely off the boil on Saturday and our Duracell Bunny hardly showed the benefits of his midweek break. In fact we commenced this encounter in such a comatose fashion, leaving Jonjo Shelvey and Ki Seung Yeung to impressively run the show in the middle of the park that we couldn’t really have complained to be going in at halftime a goal or two behind. Yet where we might’ve ended up dropping points at Swansea in the past, it was perhaps significant to convert this game into such a convincing-looking win. Credit where due, it was most refreshing to see ref Kevin Friend attempt to keep his cards in his pocket. With us being so accustomed to keepers being overly protected, virtually everyone in the stadium stopped in expectation of Friend awarding a foul on Fabianski, thankfully with the single exception of Koscielny. Evidently the terrace tom-toms told of the Canaries equalizer against City, when the “top of the league” chant rang out from our end. Yet with ten mins still to play, you just knew that this was somewhat premature. Nevertheless, I’m more than content to be maintaining the pressure on the current frontrunners. As determined as I am to avoid getting too carried away with all the white noise from the media about our title prospects, there were perhaps a couple of telling signs on Saturday. Gomis had time to light and smoke a cigar before rounding Petr Cech. Yet no matter what form our keeper might be in, this was just the sort of one-on-one confrontation that Petr will often win on reputation alone, by contrast to the myriad of less illustrious goal-minders from the past decade or more. Then there was a worrying moment when Bellerin slammed into the goal-post second-half. Hector was far too commited to keeping the ball out of the back of the net, to be distracted by the possibility that the Swans effort on goal was about to be ruled offside. It’s the sight of a Gunner risking life and limb in such a totally focused fashion that truly excites me. Thanks Roger. I either blame Talk Spite or my far too rapidly failing memory, as you are obviously right & I thought I was merely quoting what we heard on the radio on the way home. Now I'm wondering exactly what record they were referring to? Perhaps pro-rata for the amount of minutes Mezut has played?